It’s time to pitch a tent, because camping season is upon us! 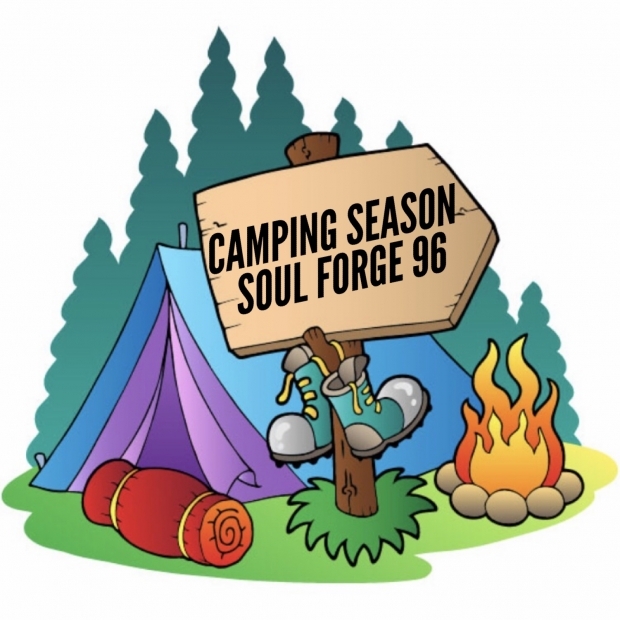 On this week’s Soul Forge podcast, Shawn and Deidre share some of their camping memories. What is camping anyway? We looked up a definition just to be funny. According to Wikipedia, Camping is an outdoor activity involving overnight stays away from home in a shelter, such as a tent. Typically participants leave developed areas to spend time outdoors in more natural ones in pursuit of activities providing them enjoyment. To be regarded as “camping” a minimum of one night is spent outdoors, distinguishing it from day-tripping, picnicking, and other similarly short-term recreational activities. We touch on a lot of various topics including Deidre’s time in both Girl Guides and Pathfinders. Shawn briefly talks about his time at Air Cadet camp. Of course, we also talk about the regular camping stuff such as fires and marshmellows and getting rained out. You’ll hear about the time Shawn went hiking with his brothers and how that turned out to be a disaster. We talk about crawdads, fishing for squirrels, pitching a tent in the backyard and more. No discussion about camping is complete without a reminder regarding tent etiquette. We may have also mentioned something about drinking and a horrible grade 8 class trip.